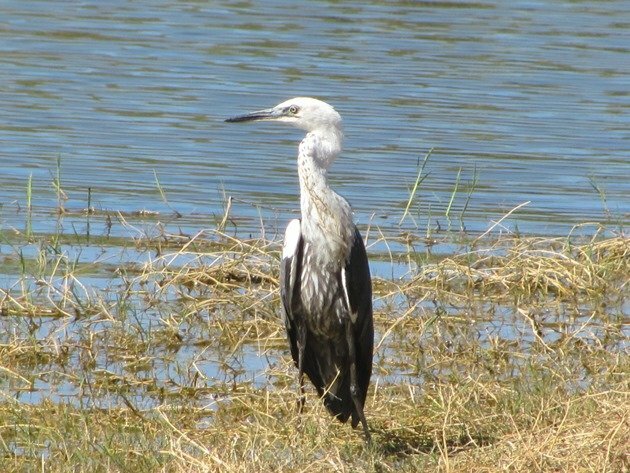 The White-necked Heron Ardea pacifica is a very large heron that inhabits wetlands around Australia and is aptly named with its distinctive white neck. 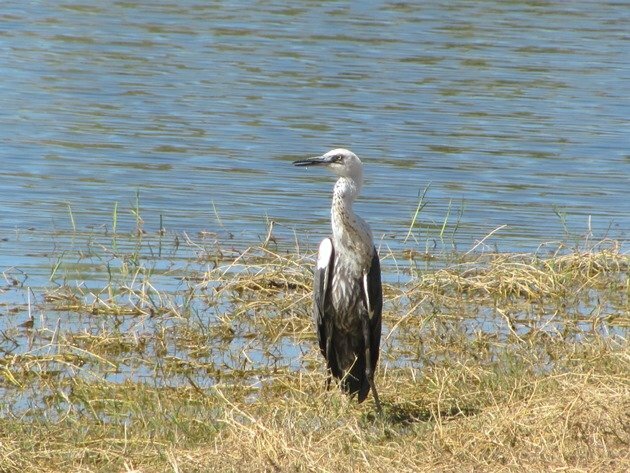 The only similarly looking heron is the Pied Heron, but that species stands at only 43-48cm instead of 75-100cm. 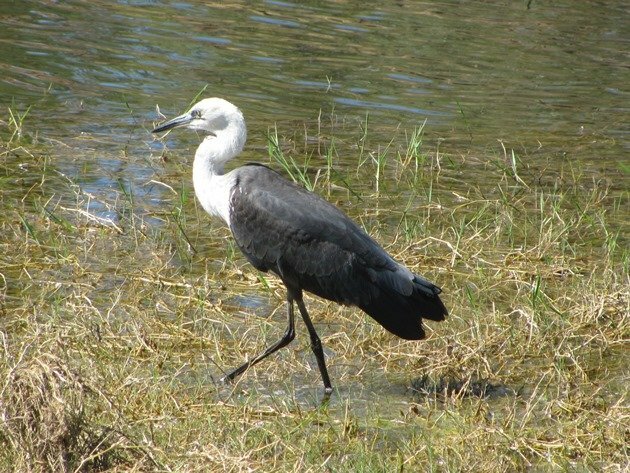 The White-necked Heron eats crustaceans and during our stay at Corella Dam in Queensland the White-necked Herons were actively eating the red claw-freshwater crayfish in the lake. 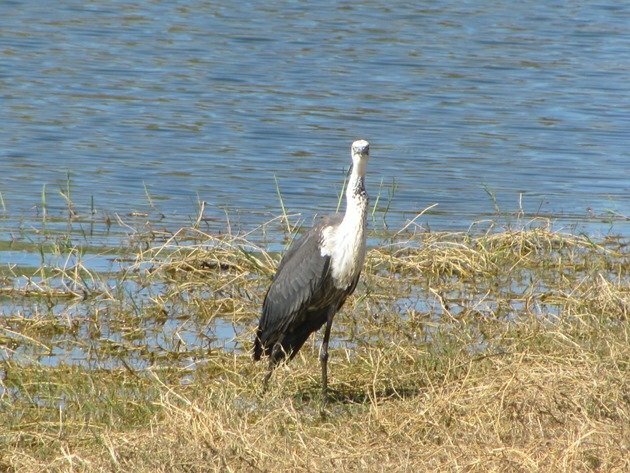 It was interesting watch them catch and eat the crustaceans and most people that were camping there for any length of time were also eating the freshwater crayfish and were setting traps continuously. The freshwater crayfish were growing in excess of 15cm, so an ample feed! 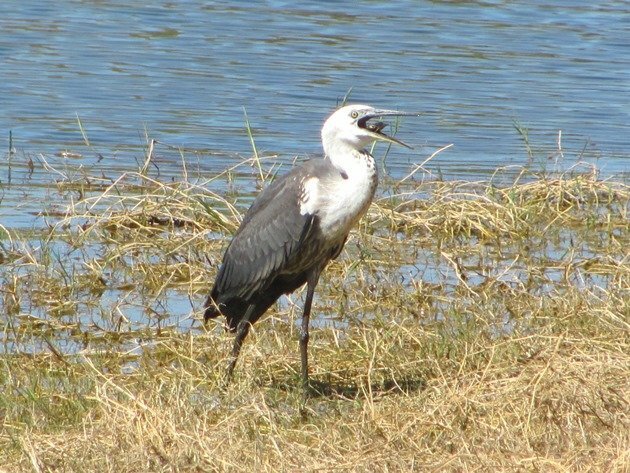 White-necked Heron satisfied with the snack?! 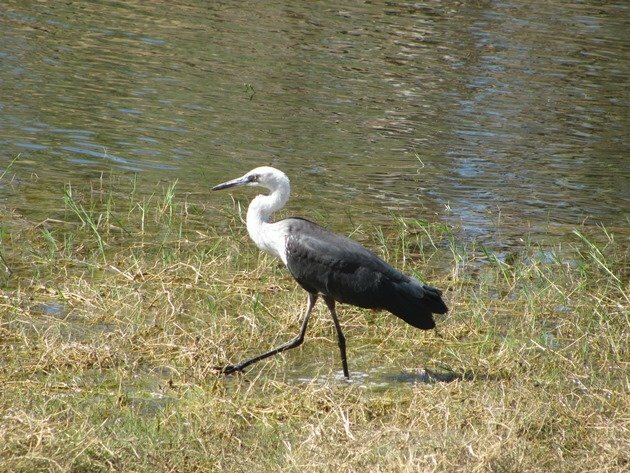 White-necked Heron going in search of more red claw! 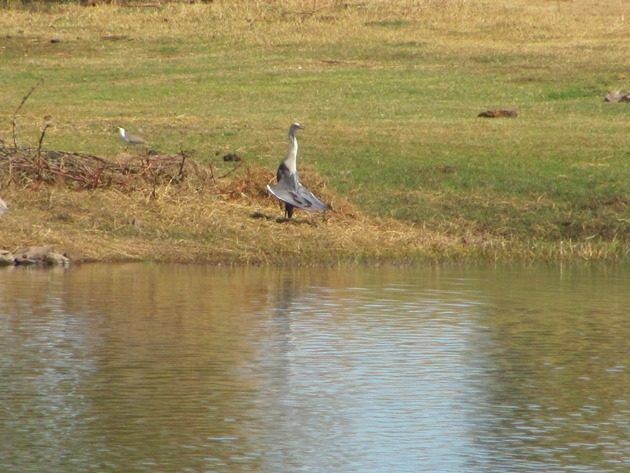 Although it was not particularly warm it was also interesting to watch the White-necked Herons sunbathe and the header photo shows an example of a White-necked Heron with its wings spread forward in what looks like rather an odd pose! 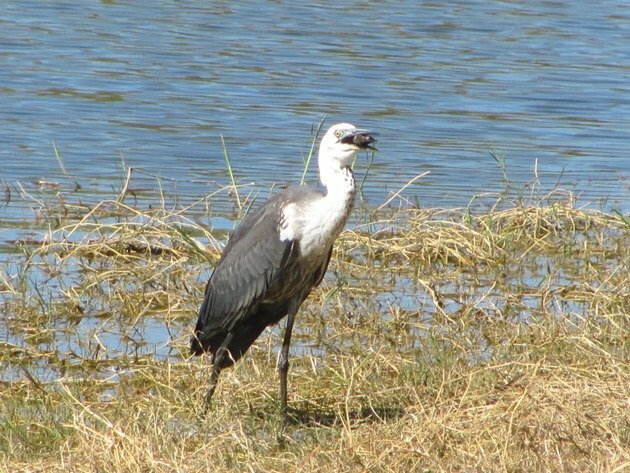 You will note the Masked Lapwing nearby to give you the size perspective.